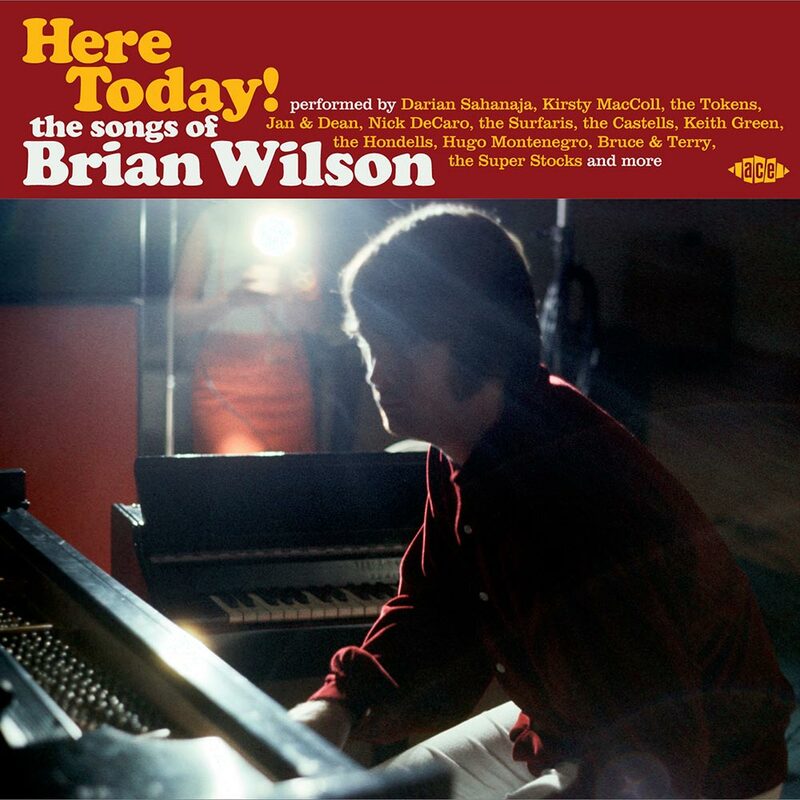 HERE TODAY!-THE SONGS OF BRIAN WILSON. Brian Wilson is seen by some, as the closest thing music has had to a genius. Proponents of this argument cite the Beach Boys 1966 progressive, psychedelic Magnus Opus, Pet Sounds. By then, Brian Wilson was one of the most successful singer, songwriter, and producers of his generation. Already, Brian Wilson had masterminded twenty-four hit singles, including two number one singles for the Beach Boys. It looked like Brian Wilson could do no wrong. Sadly, Smile, the followup to Pet Sounds was cancelled. Brian Wilson had suffered the first of several nervous breakdowns. As a result of Brian Wilson’s health problems, his influence on the Beach Boys diminished. This just happened to coincide with a decrease in sales of the Beach Boys’ albums. Following Pet Sounds, the Beach Boys albums were produced by the group. No longer was Brian Wilson the sole producer. Then in 1975, Brian Wilson produced 15 Big Ones, which was released in 1976. When it was released in July 1976, 15 Big Ones reached number eight in the US Billboard 200, and was certified gold. For many, onlookers, it looked as if Brian Wilson was back. However, that wasn’t the case. By 1975, Brian Wilson had substance abuse problems and his health was failing. His wife Marilyn realised he needed enlisted the help of psychologist and psychotherapist Eugene Landy. He was best known for an unconventional twenty-four hour treatment program. At first, Brian was resistant to the demanding program. However, with the only alternative being admitted to a psychiatric hospital, Brian came round to Euege Landy’s program. Then in 1976, when Euegene Landy tried to double hi fees, he was sacked by the Beach Boys manager. Six years later, with Brian’s health failing, and the Beach Boys not having released an album for two years, Eugene Landy was hired again. For the next ten years, Brian was treated by Eugene Landy. This didn’t end well. Part of Eugene Landy’s treatment, was micromanaging his client’s lives. Usually, he did this with team of counsellors, nurses and doctors. However, in Brian’s case, Eugene Landy took a more hands on approach. Not only was he Brian’s therapist, but gradually, became his business adviser and cowrote songs with Brian. Then when Brain released his debut album Brian Wilson in 1988, Eugene Landy was credited as executive producer. Later, in 1991, Eugene Landy cowrote a memoir about Brian Wilson, Wouldn’t It Be Nice: My Own Story. However, by then people were questioning Eugene Landy’s relationship with Brian. A year later, and the relationship was over. A restraining order was issued by the court barring Eugene Landy from contacting Brian Wilson ever again. This wasn’t the end of the story. In 1994, the state of California revoked Eugene Landy’s license to practise. There had been accusations of ethical violations and patient misconduct during his years with Brian Wilson. While the relationship ended badly, Brian Wilson was on the comeback trail. Sadly, Brian Wilson never ever reached the heights of Pet Sounds. He released another ten solo albums, some of which, were released to critical acclaim. However, compared to Pet Sounds, they never came close. Pet Sounds was Brian Wilson’s finest hour. Incredibly, he was only twenty-four, with his whole life in front of him. Sadly, ill-health, substance abuse and the internal politics of the Beach Boys curtailed Brian Wilson’s career. He was the man who could’ve been King. While Brian Wilson is still remembered as one of the most important successful singer, songwriter, musician and producers of his generation, to some extent, his critics say that Brian Wilson never fulfilled his early potential. That however, is an accusation that could be levelled at many musicians. However, in Brian Wilson’s case, that’s a bit harsh. If illness hadn’t interrupted his career, he would probably have fulfilled his potential. Certainly, Brian Wilson’s music has influenced two generations of music. They’ve continued to cover his songs over the past fifty years. This includes the artists on Here Today!-The Songs Of Brian Wilson, which was recently released by Ace Records. Here Today!-The Songs Of Brian Wilson features twenty-five cover versions of Brian Wilson songs. These songs have been covered by Darian Sahanaja, Bobby Vee, The Tokens, The Castells, Jan and Dean, The Tymes, Keith Green, Peggy March, Betty Everett, Carmen McRae and Kirsty MacColl. Among the twenty-five tracks are six cover versions of songs from Pet Sounds. That’s fitting as Pet Sounds was Brian Wilson’s Magnus Opus. However, there’s much more to Brian Wilson’s music, as you’ll discover when I pick the highlights of Here Today!-The Songs Of Brian Wilson. There’s no better way to open Do You Have Any Regrets? opens Here Today!-The Songs Of Brian Wilson than with Darian Sahanaja’s of The Wondermints cover of Do You Have Any Regrets? This is a song from Brian’s 1990 album Sweet Insanity. Darian rolls back the years, and gives Do You Have Any Regrets? a sixties makeover. As a result, the song sounds uncannily like the Beach Boys at the peak of their power. That’s no surprise as Darian has worked with Brian Wilson during his comeback, and played an important part in his solo career. Don’t Worry Baby is, without doubt, a Beach Boys’ classic. So anyone who decides to cover Don’t Worry Baby will have their version compared to the original. The Tokens’ cover is akin to a homage to the Beach Boys. Sonically and stylistically, The Tokens’ 1970 cover of Don’t Worry Baby is one of the best, and stays true to the original. The original recording Help Me Rhonda featured on The Beach Boys Today!, which was released in 1964. The song was written by Brian and Mike Wilson, way before rivalries split the Beach Boys. Later in 1964, Future Beach Boy Bruce Johnston and Terry Melcher then decided to record Help Me Rhonda. However, fate intervened, when the Beach Boys rerecorded Help Me Rhonda. When it was released as a single, it became a huge hit. This lead to Bruce and Terry postponing the release of their cover of Help Me Rhonda. It wasn’t until 1998 that Bruce and Terry’s hook laden take on Help Me Rhonda was eventually released. Seventeen years later, and it makes a more than welcome return on Here Today!-The Songs Of Brian Wilson. Just like the Beach Boys, Jan and Dean were one of the leading lights of the surf and hot rod scene. They covered The New Girl In School in 1964. This wasn’t a new song. Instead, it started life as (When Summer Comes) Gonna Hustle You, which Jan and Dean recorded in 1963. Originally, it was written by Brian and Bob Norberg. A year later, after a rewrite by Brian, Jan Berry and Roger Christian, (When Summer Comes) Gonna Hustle You became The New Girl In School. Rhis hook laden tale of teenage love was released as a single in 1964, and proved the perfect showcase for Jan and Dean’s vocal prowess. Don’t Hurt My Little Sister is another song penned by Brian and cousin Mike Wilson. They wrote the song for The Blossoms, which featured Darlene Love. However, Don’t Hurt My Little Sister featured on The Beach Boys Today!, which was released in 1964. Then in early 1966, The Blossoms version of Don’t Hurt My Little Sister was released a single. 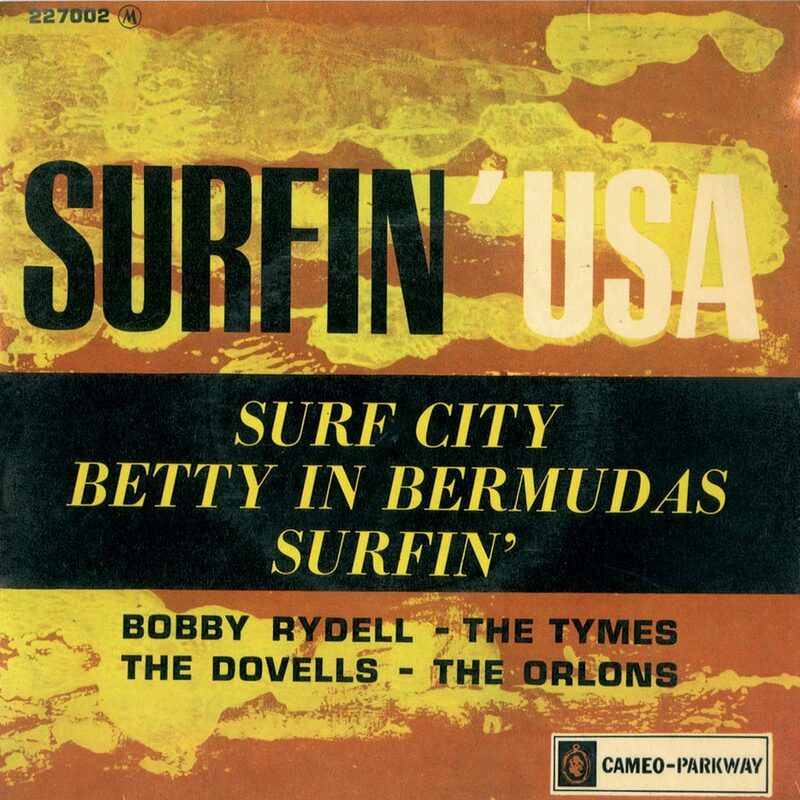 A few months later, and The Surfaris, another mainstay of the surf scene covered Don’t Hurt My Little Sister. Their version was produced by Gary Usher, and featured on their 1977 compilation Gone With The Wave. 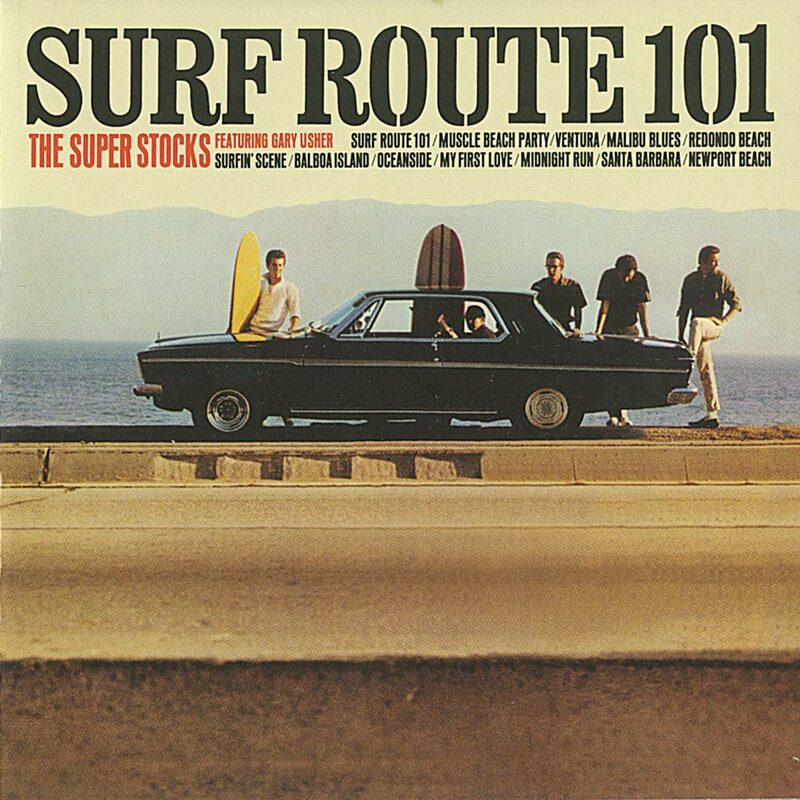 It’s one of the highlights of Gone With The Wave, and is a reminder of one of the great groups of the surf era. In 1964, The Hondells scored a top ten single with their udebut single, Little Honda. For the followup, Gary Usher who masterminded the rise of The Hondells cowrote My Buddy Seat with Brian Wilson. My Buddy Seat was then recorded by some of the top names in the surf scene. Among them, were Gary Usher, Brian Wilson, Bruce Johnston and Terry Melcher. So, it’s no surprise that My Buddy Seat oozes quality. What’s surprising is that My Buddy Seat wasn’t a commercial success. Surf City was the song the first song that Brian Wilson penned to reach number one. Brian cowrote Surf City with Jan Berry, of Jan and Dean. Much to his father’s chagrin, Brian allowed Jan and Dean to record Surf City first. It gave them a number one single. No wonder. Jan and Dean’s version of Surf City is a classic of the surf era, and fifty-two years later, still sounds timeless. Keith Green was a child prodigy. By the time he first met Gary Usher in 1965, the eleven year old was writing songs. Gary who was an experienced songwriter, wasn’t convinced at first. However, eventually, Gary signed Keith Green on a recording contract. His sophomore single was a cover of Brian Wilson’s Girl Don’t Tell Me. This Gary Usher production was released on Decca, in 1965, just after the Beach Boys version. It was was the B-Side of Barbara Ann. The main difference between the two version are Keith’s version has a quicker tempo, as Keith and Gary Usher give the song new meaning. Soul singer Betty Everett is one of many people to cover what’s one of the Brian Wilson’s classic songs, God Only Knows. It originally featured on Pet Sounds, in 1966. Incredibly, Gold Only Knows stalled at number thirty-nine in the US Billboard 100. Nine years later, and Betty Everett covered God Only Knows on her 1975 album Happy Endings. Accompanied by gospel tinged backing vocals, God Only Knows is given soulful makeover that’s quite beautiful. 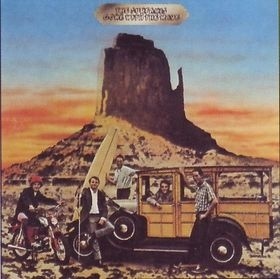 Good Vibrations, which featured on the Beach Boys 1967 album Smiley Smile, gave the Beach Boys a number one single in 1968. Not only was Good Vibrations by far the highlight of the Smiley Smile album, but one of the greatest songs Brian and Mike Love cowrote. Since 1968, Good Vibrations is perceived as one of the greatest singles ever released. 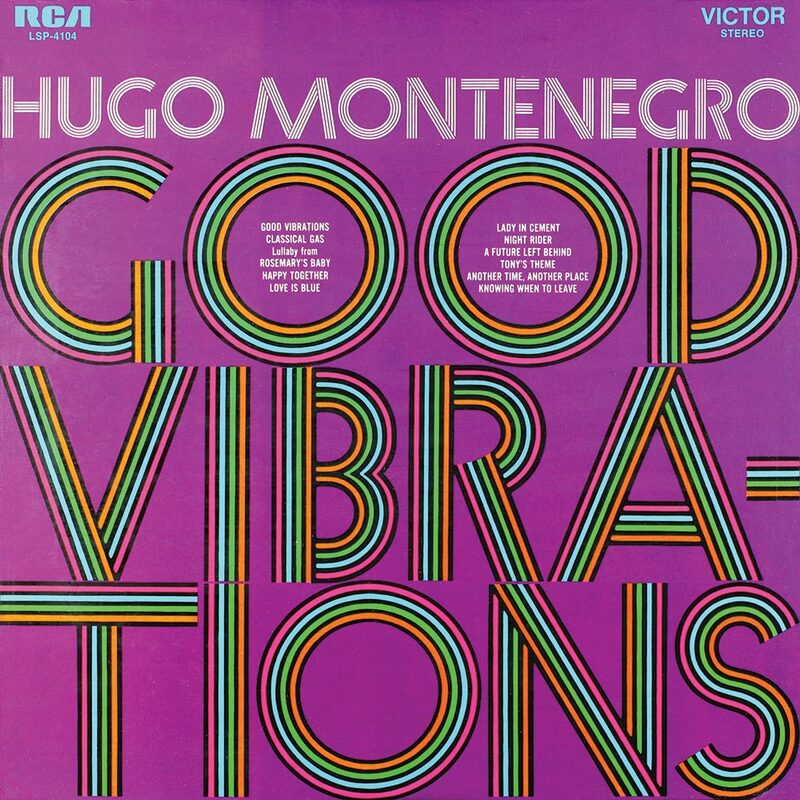 Despite the original being a musical masterpiece, Hugo Montenegro covered Good Vibrations in 1969. The song lent its name to his 1969 album Good Vibrations. Without doubt. one of the highlights of the album is Good Vibrations, where Hugh pays homage to what many believe is Brian Wilson’s finest moment. Nick DeCaro’s 1968 debut single was a cover of Caroline, No. It’s an wistful, piano lead cover of this Brian Wilson and Tony Asher composition. The addition of a sultry saxophone is a masterstroke, and is very different from the Beach Boys’ original on Pet Sounds. Here, Nick brings new life and meaning to another Beach Boys classic. Closing Here Today!-The Songs Of Brian Wilson, is Kirsty MacColl’s cover of You Still Believe In Me, another track from Pet Sounds. 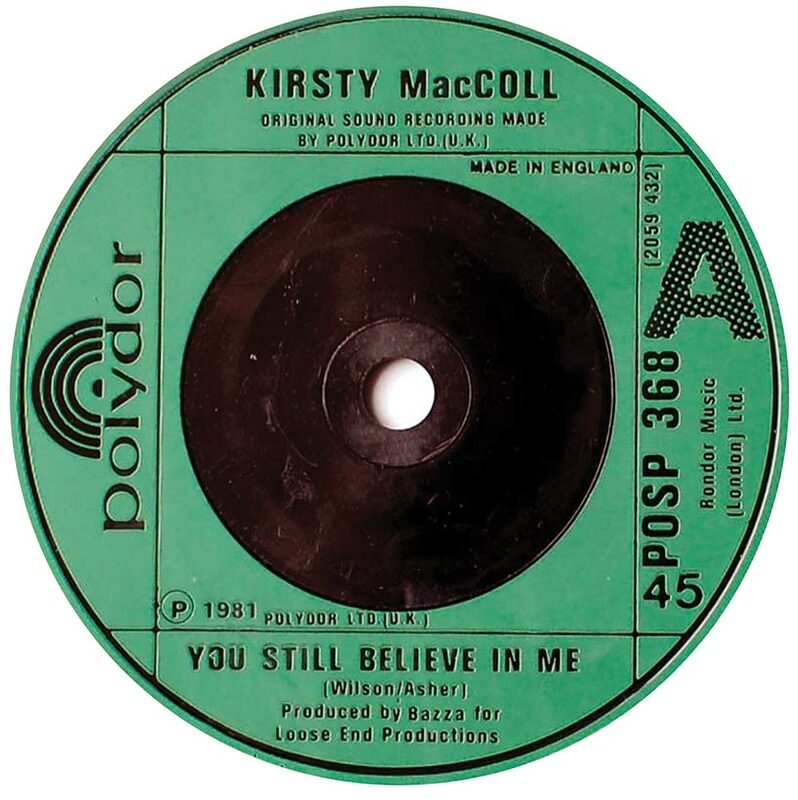 Kirsty MacColl, the daughter of folk singer Ewan MacColl, had only released a quartet of singles when she released You Still Believe In Me in 1981. However, You Still Believe In Me was a game-changer. It was the finest single of her nascent career. The best way to describe Kirsty’s cover of You Still Believe In Me is understated and ethereal. This was the perfect tribute to one of Kirsty’s musical heroes. The twenty-five tracks on Here Today!-The Songs Of Brian Wilson, which was recently released by Ace Records, is a reminder of the quality of songs Brian Wilson wrote in his heyday. He was, without doubt one of the most talented songwriters of his generation. That’s indisputable. However, Brian Wilson was much more than a songwriter. Some people have gone as far as to describe Brian Wilson as the closest thing music has had to a genius. That is taking things to far. He was certainly one of the the most talented and successful singer, songwriter, and producers of his generation. Proof, if any is needed, are the twenty-four hit singles, including two number one singles for masterminded the Beach Boys. However, Brian’s finest hour was Pet Sounds, and of course, Good Vibrations, which was recorded at the same time. Pet Sound, which was released in 1966 was the Beach Boys’ progressive, psychedelic Magnus Opus, Pet Sounds. They never bettered Pet Sounds. The abandoned Smile project, which was abandoned in 1967, as Brian had the first of several nervous breakdowns, onlookers believe, could’ve come close. Sadly, that wasn’t to be. Smile, the followup to Pet Sounds was cancelled. Brian Wilson had suffered the first of several nervous breakdowns. As a result of Brian Wilson’s health problems, his influence on the Beach Boys began to diminish. This just happened to coincide with a decrease in sales of the Beach Boys’ albums. Over the next twenty-six years, Brian Wilson’s suffered from mental health problems. During that period, he was constantly described as a troubled genius. Sadly, Brian never reached the heights he scaled between 1961 and the release of Pet Sounds in 1966. With Brian no longer playing such an important part in the Beach Boys, their studio albums never came close to matching the Beach Boys of the sixties. The exceptions were 1976s15 Big Ones which Brian produced, and 1979s L.A. (Light Album). Bother were a return to form from the Beach Boys. Right through to 1992, when Brian ended his association with Eugene Landy, his health problems meant he curtailed his musical career. Since then, Brian Wilson has released ten further solo albums. Some were released to critical acclaim; while others feature a fleeting glimpse of Brian Wilson’s talents. However, much of the greatest music of Brian Wilson’s career, was the music he released with the Beach Boys, between 1961 and the release of Pet Sounds in 1966. To that, I would add the musical masterpiece that is Good Vibrations, which is the work of a musical visionary. That visionary is Brian Wilson, who has influenced two generations of music, including the artists on Here Today!-The Songs Of Brian Wilson, which was recently released by Ace Records.